How Blockchain can help to solve fake drugs problem in India? Home Blockchain How Blockchain can help to solve fake drugs problem in India? Niti Aayog lately declared that it has been working closely with Apollo Hospitals and Oracle to utilize blockchain technology in pharmaceutical supply chain management in order to track drugs from manufacturers end to consumers end. The brutal truth is that the drug industry continues to battle against fake and counterfeit drugs which are present within the supply chain and has a great effect in the export volumes. Debapriya Nadan, who is the senior director and head of the public sector business development in Oracle India says that drug manufacturers presently don’t possess a powerful way to secure and track the source of drugs or access the data required to stop fake drug sales. How Blockchain can be useful for Pharma companies? The Indian Pharmaceutical Industry is the third largest in the world as per volume, contributing to 10% of the world’s population. Indian is a leading producer of drugs and generic vaccines by exporting items to 200+ countries. But, as per the World Health Organization (WHO), about 35% of the fake drugs which are sold around the globe comes from India and it consists the fake drug market of about Rs 4,000 Crore. 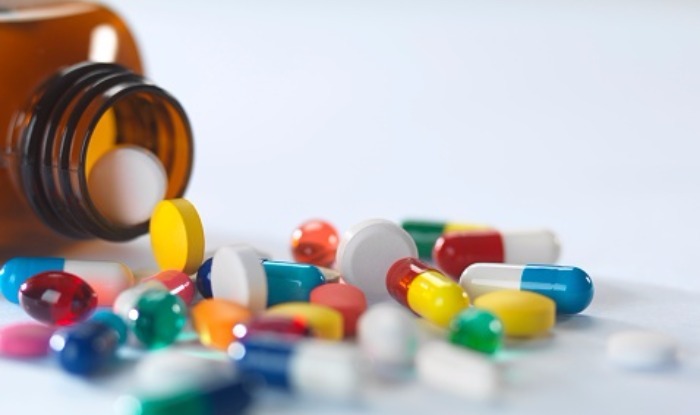 The issue of fake and counterfeit drugs in the supply chain is the major trouble which costs pharma industry billions and puts the patients on more risk. To resolve this issue, Blockchain can play an important role in the Pharmaceutical Industry. Blockchain is mainly a decentralized digital ledger which records and transfers data in the most secure and transparent manner. A Blockchain based drug supply chain will have records of important details such as manufacturer, distributors (3PL), pharmacist and patient on a trusted network powered by Blockchain. What are the recent technologies being adopted by Pharma firms and how is the adoption rate in India? Digital Transformation is broad in the pharmaceutical and health sciences industries, allowing firms to speed up the pace of innovation. Data can be obtained from the cloud, including Blockchain, Big Data, Artificial Intelligence and Machine Learning. All these technologies are providing faster, better and more effective ways for researchers and investigators building and managing trials along with drug manufacturers. Using the real world data, AI and big data, pharma companies can speed up and improve the system of drug discovery. Artificial Intelligence tools are being utilized in the clinical trials to check the convenience of data such as medical records, physical examination, and tests, etc. Mobile technology is bringing a lot of revolution in the health sector. Wearables such as smartwatches from popular companies are offering a lot of health-related information. What is the main role of Oracle in bringing Blockchain Technology? All the modern pharma companies understand the significance of being patient-centric and are planning to involve the latest technologies which will help to improve their business. By considering this, Oracle has build Blockchain Cloud Service (BCS), which will help new DLT apps and extend ERP, supply chain management (SCM), other enterprise software-as-a-service and license apps by allowing firms to conduct business-to-business transactions securely.